On February 11, 2012 I reached a major milestone in my life. 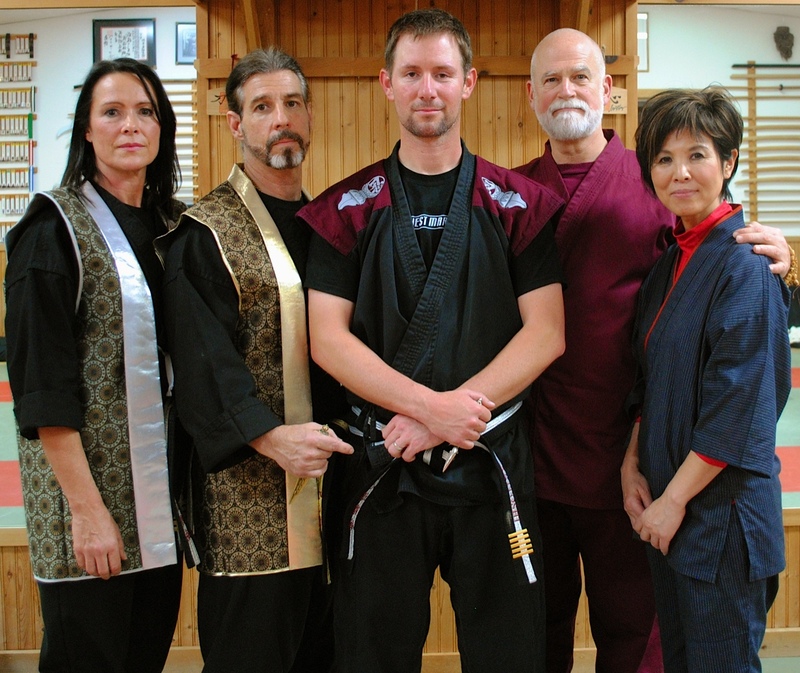 After nearly twenty-four years of traveling back and forth from my home in Orlando to Tampa Florida to train, I have been promoted to 5th degree Black Belt in a martial art called To-Shin Do – the modern application of the ninja martial arts from feudal Japan. I started when I was 16 and since then I’ve been under the careful guidance of my friend and mentor Master Mark Sentoshi Russo. Now at the age of 40 (a surprise to most of my colleagues in the entertainment world) I’ve experienced a “right of passage” if you will, to a level known in the martial arts community as “Mastery”. In our art this is by no means defined as the ‘end’ or ‘top level’. It simply serves as a mile-marker (albeit a very significant one). At 5th degree Black Belt you are capable of managing your life and creating circumstances through a unique sense of awareness to attract what you need and discard what is unnecessary. You have the ability to respond when things become out of balance. 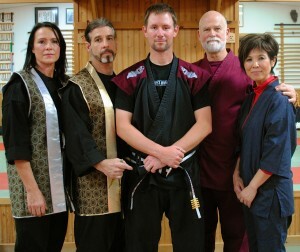 This is what I have grown to know as “Martial Mastery”. The skills required for this level of accomplishment are comprised less of what you are physically capable of and more of what you feel: being at the right place at the right time with the least amount of expended effort. It’s been a very long journey and by no means am I finished. As I press forward into the next phase, my efforts will go to two places: Increasing the awareness of my teachers’ gifts to the public, and growing a practice of my own in the Central Florida area. After all, that’s what this is all about; gaining knowledge, improving the quality of your life, then sharing it with others.